TO PARTICIPATE: (1) SHARE THIS PICTURE, (2)LIKE THIS PICTURE, (3)COMMENT THIS PICTURE. All three steps are necessary to take part in the giveaway. 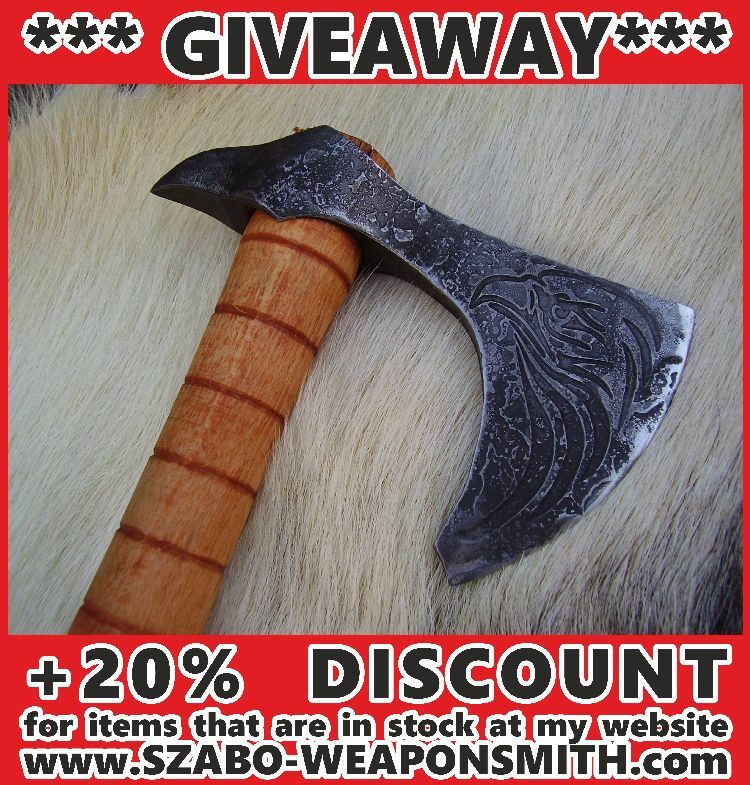 Everybody can use coupon name CHRISTMAS2017 and wont miss a chance to get hand made and decorated weapons and tools! The GIVEAWAY and the DISCOUNT start now and close on Wednesday 3.1.2018 at midnight CET. The winner will be published the following day.